Delhi is one of the Union territories in India. The Place is full of stories and sagas. 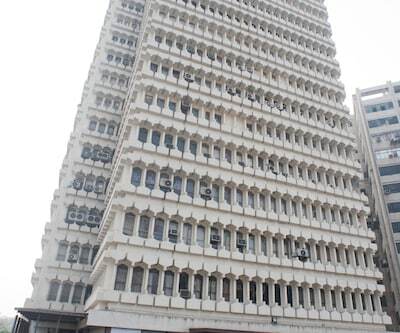 Being classified as Old Delhi and New Delhi, the city shows a perfect blend of traditional and contemporary culture.Lakhs of inbound and international travellers visit Delhi every year.One can find more than 800, 4 star hotels in Delhi which are filled with amazing facilities and world class amenities. 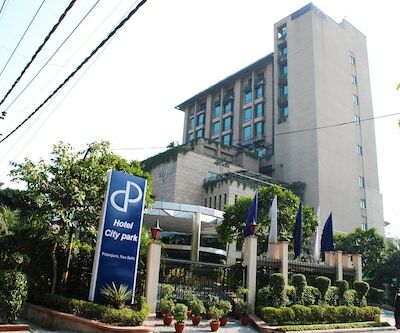 For their accommodation tourist can stay at hotel classic Diplomat which is one of the best 4 star hotels in Delhi. 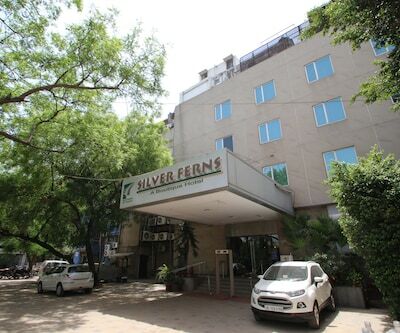 The hotel is situated near Delhi Airport which will be indeed beneficial for business travellers. 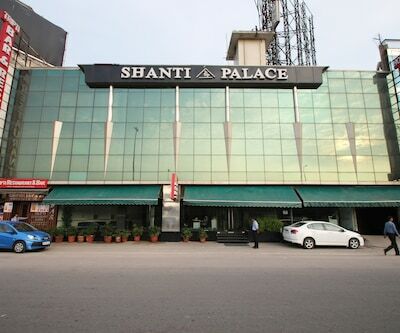 The hotel is 3 km away from IGI airport and 30 minute drive from Delhi Railway Station. India Gate and Lotus Temple are located at a distance of 10 km and 20 km from the hotel. Rooms of the hotel are elegantly designed and are classified as Standard Room, Deluxe Room, Deluxe Premium Room and Suite Room.All these rooms are offering good choice of selection. These rooms are spacious and filled with all the essential amenities like AC, tea and coffee maker are just to name a few. 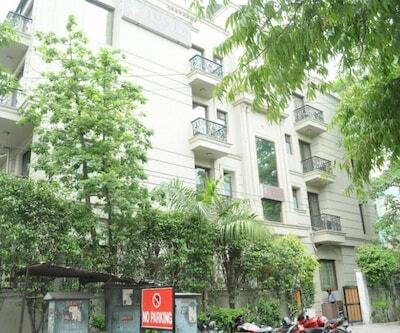 Filled with well- ventilated rooms, this property is located close to many corporate hubs and entertainment spots. For table bounds the hotel offers a pleasing dining option that severs a verity of regional and international dishes. 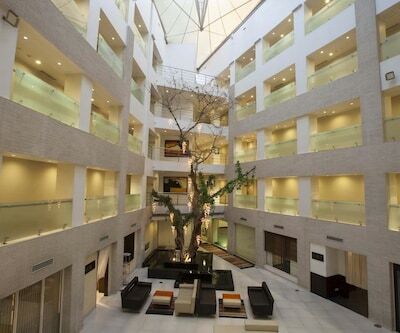 Lemon Tree Premier is also listed among 4 star Delhi hotels.The property is in Hospitality District near Indira Gandhi International Airport. 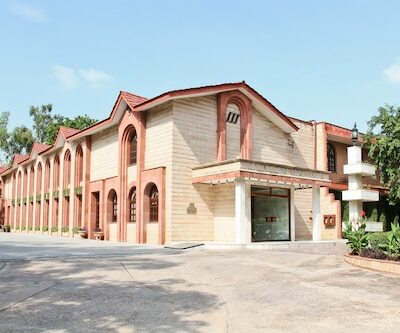 There are 280 well-furnished rooms in the hotel, each aesthetically designed and are classified as Wi-Fi, tea and coffee maker, telephone, satellite television, mini bar, digital safe, DVD player an many more There is an outdoor swimming pool where guests can rejuvenate. The in-house spa also gives massage therapies to patrons. Fitness freaks can loose those extra kilos at well-fitted gym. Dinner can be enjoyed at multi-cuisine restaurant –‘Citrus Café’. The pleasing ambience will enhance the dining experience. 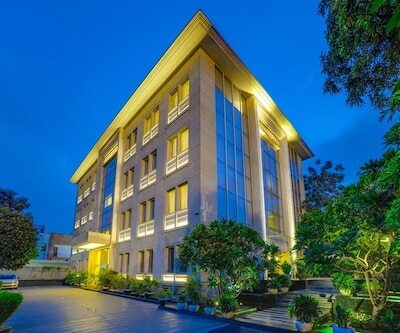 Suitable for leisure and business travellers this hotel features multiple used hall which can be used for corporate events as well as for the social gatherings.IGI airport is 4 km away from hotel and 5 km from domestic airport. Famous tourist attractions such as Akshardham Temple, Kingdom of Dreams and Ambience Mall can be enjoyed from the hotel. 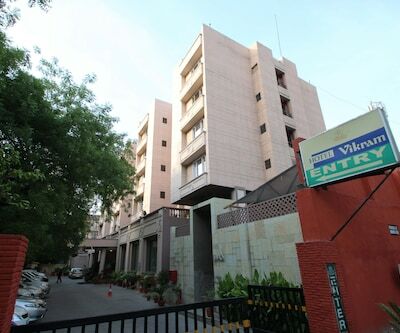 Madhuban, Savoy Suites, Ramada Gurgaon central, hotel samrat and many more are 4 star hotels in Delhi.These properties are filled with all contemporary amenities which will make your stay relaxing and memorable. 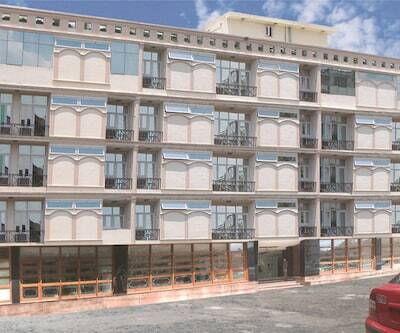 How to reach Hotel The Royal Plaza through metro from kashmiri gate? Patel Chowk Metro Station is the nearest metro station from the Hotel, which is approx 100Mts only. Is airport transfers service chargeable or free in Classic Diplomat hotel delhi.? Does ORANA HOTELS AND RESORTS allow couples to check in, if they don't have a valid marriage id proof? Yes, the hotel allows couples to checkin as long as they have valid id proofs. However, local id proofs are not allowed.